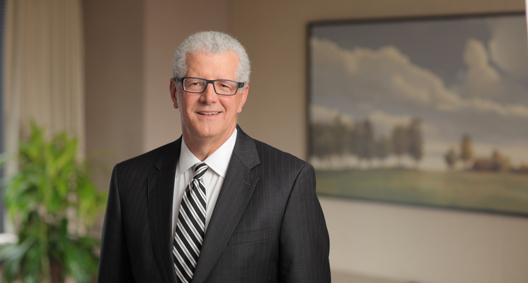 Tom Long has been involved in complex civil litigation throughout his 30 years of practice. The scope of his courtroom experience, combined with practical values and innovative ideas, enables Tom to provide the unique and efficient solutions that his clients need. Member of the BakerHostetler team representing the SIPA Trustee in a variety of actions arising from the Madoff Ponzi scheme. His work includes the recovery of funds from off-shore hedge funds. Represented a health services company in an antitrust class action case concerning brand-name prescription drugs. As one of three trial co-leads, obtained a directed verdict after 12 weeks of trial. Represented an underwriter in securities litigation involving a waste management company. The matter was settled in favor of the client. Served as lead attorney in a health services company compliance investigation with the Drug Enforcement Administration concerning regulations on prescriptions for narcotics. Served as lead lawyer in a United Parcel Service EVIC insurance class action case. The case involved seven class actions consolidated into a single class action. Led and coordinated defenses resulting in favor of the clients. Represented a variety of clients in auto racing disputes, including the appeal of results of 2002’s Indianapolis 500. Represented a Fortune 20 client in a series of federal securities and Employee Retirement Income Security Act class actions, as well as numerous shareholder derivative cases alleging waste of corporate assets, breach of fiduciary duties and misuse of corporate share repurchase programs designed to take advantage of market conditions. The client was able to use an innovative early mediation process. Resulted in a settlement of the cases in favor of the client while avoiding great litigation expense and disruption of client’s business with normal extensive discovery. Represented investor defendants in SmartTalk Securities Litigation. Represented two clients in investigations by former New York Attorney General Eliot Spitzer. Serves as Ohio legislative counsel for State Farm Insurance Co., representing the enterprise in Ohio legislature and before Ohio regulatory agencies since 1979. Serves as a federal court mediator on a pro bono basis.